As the geopolitical world order continues to shift, so too does the development landscape. Climate change, urbanization and fragility are making our global health goals an ever-moving target. For globalization, that also presents a challenge. To be sustainable, globalization needs to be truly global, which means including everyone. So, if globalization 4.0 is to be successful in reshaping and improving the world for all, then a business-as-usual mentality in the development space is simply not enough. With one-in-ten of the world’s most vulnerable children still missing out on the most basic healthcare, such as childhood immunization, the communities they live in are not just the last to be reached, they are also the hardest to reach. Because of this, a shift in mindset is needed to reach them too. Instead of focusing on scale, we must develop new kinds of partnerships, collaborations and technologies to make that last child our first priority. If we don’t, not only will continued progress become increasingly difficult: there is a very real risk of a decline. To get some context, consider what has been achieved in global health in recent decades. The number of people living extreme poverty has plummeted, childhood mortality has halved and the number of cases of polio has been reduce by well over 99%, to the point that it is now on the brink of being eradicated. This kind of progress was made possible by global agencies working with countries to maximize reach. It has been staggeringly successful. 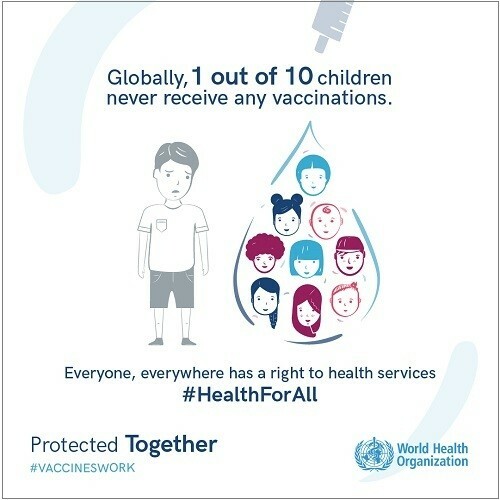 Indeed, since being launched in 2000 at the World Economic Forum, my organization, Gavi, the Vaccine Alliance, has singularly helped countries vaccinate more than 700 millionchildren, preventing more than 10 million deaths. Despite such efforts, there are still around 13.6 million children not getting even the most basic vaccines. This last 10% belong to the most marginalized families in the world. Whether they live in remote rural villages or urban slums, or are among the growing number of displaced people, they are often the poorest of the poor. Typically, they live on less than $2 a day, and are people who often cannot afford to buy food or access health services. These are the places where the next epidemics are most likely to start and least likely to be quickly recognized. For these people, it is not that we have yet to reach them – it is that traditional approaches are struggling to reach them. And this is not just about childhood immunization – it’s also about a range of other health and education services, infrastructure, and winning more for them, their families and communities. That means we now have to acknowledge that, in some cases, more tailored approaches are needed and a disproportionate use of resources is warranted. This doesn’t just translate as more funding. It will also involve changing the way we work: building new partnerships and collaborations between agencies, governments, civil society and the private sector. It also means taking advantage of the basic characteristics of the Fourth Industrial Revolution, such as digitalization, integration, AI and other technologies, in order to leapfrog existing systems. In a sense, this is a definitive example of the added value that globalization 4.0 has to offer. However, in the context of the shifting global health and economic landscape, that will not be easy. The global migration crisis, increased fragility and growing threats to global health security, fuelled by relentless trends such as urbanization and climate change, are now steadily raising the stakes. Another challenge we face is being fuelled by economic growth itself. Until recently, the poorest people in the world – those in the two lowest income brackets – lived predominantly in low-income countries, with around 45% in middle-income countries (MICs). As those MICs became wealthier, you would expect the proportion of those poorest people living in LICs to increase. But instead the opposite is happening; as low income countries become wealthier and graduate to middle income, the proportion of the poor living in MICs is expected to almost double by 2025 to 80%, increasing in absolute terms from 2 billion to almost 3 billion. This has profound implications, because it means that the majority of the poorest people in the world will live in countries that usually do not qualify for overseas development assistance, as the nations are perceived to be wealthy enough to take care of their own. Yet without some help, that trend is not likely to fix itself. So to reach that last 10%, we will need to find new ways to work with governments, to give these people the new skills and tools they need and target them, so that no one is left behind. Globalization 4.0, and its potential impact on global cooperation and the Fourth Industrial Revolution, has a central role to play in making that happen. By forging new multilateral dialogues and through the innovative use of enabling technologies, it has the capacity and responsibility to help address these kinds of regional and national concerns. Because it can ultimately only achieve sustainability through inclusivity, and that means going the extra mile to reach that last mile.